ROOF RESTORATION, ROOF REPAIRS, ROOF CLEANING, ROOF SEALING & ROOF PAINTING. Servicing Newcastle, Lake Macquarie, Port Stephens, Hunter Valley & Central Coast areas. 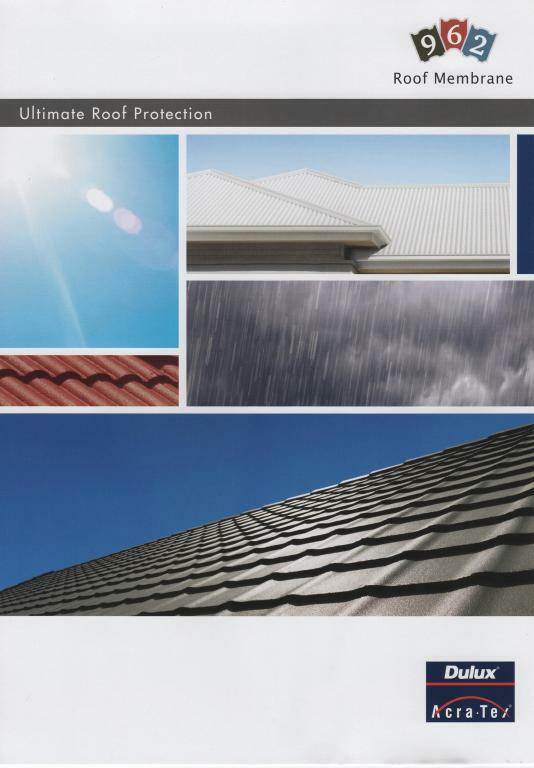 * Residential, commercial, strata and heritage roof restoration for cement & terracotta tiled roofs and metal/iron & colorbond roofs. * Roof cleaning, roof sealing & roof painting with durable roof membrane coatings by an accredited DULUX roof membrane coatings applicator. 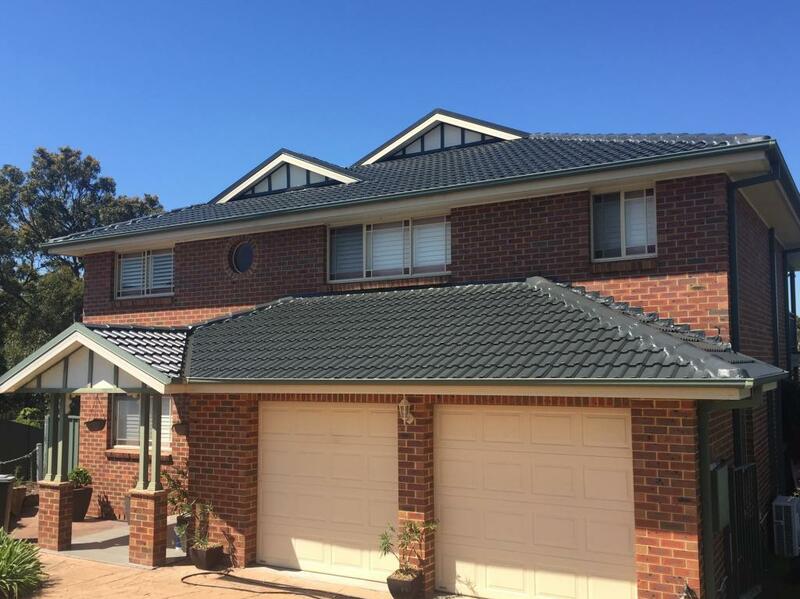 * Roof repairs, including re-bedding and re-pointing of ridge capping, metal & colorbond sheet replacement, flashing and valley iron repairs. * Storm damage and insurance work. * Free quotes on all work. * Licenced and Insured roofing contractor with over 25 years roof restoration experience. Paula B .... You did such an amazing job, quick & very reasonably priced. Highly recommend if you are looking at getting your roof done. Bethany O .... You did such an amazing job on my roof, I love driving down the street & seeing it shining. It was so dull & faded, but now it looks like a whole new roof! Shane H .... I had my roof done by Millenium Roofing approx 7-8 years ago and it still looks amazing! Dr Seyed H .... Troy is a champion. I recommend him for roof painting & repairs, thanks for a 5 star job! Melanie V .... It looks AMAZING!!!! Thanks so much Troy for your efforts, it makes such a difference to our house!!! Jack S .... I couldn't help but pass on the very good feedback I received from all owners involved regarding the completion of the work. The owners were very impressed with how quick and professional your work was. Christine T .... I have no hesitation in recommending Millenium Roofing. Wonderful to deal with in all aspects, from the original quote to the roof being completed. My roof looks amazing. Thank you Troy. Bronwyn F ..... Wow. Another amazing job by Troy. I can highly recommend Millenium Roofing. This is the second time I have used Troy. Very happy customer. Kim D .... We would like to thank Troy for our roof restoration, it looks amazing & has transformed our house. Troy was professional & provided prompt service at a great price. If you are considering a roof restoration, do yourself a favour and let Troy give you a quote, you won't be disappointed, we would definitely recommend Millenium Roofing. Leoni H .... I have seen many roofs done by Millenium Roofing over the years and when ours desperately needed doing Millenium Roofing was the natural choice. Troy was extremely professional as well as friendly and approachable and all work was done to a very high standard. He kept me informed of when & what he was doing each day and when he was finished not one speck of rubbish was left behind. Very happy with the finished result and would happily recommend Millenium Roofing. Alan S .... Without doubt one of the most professional companies I have ever dealt with in over 40 years of house maintenance. Troy explained the work to be carried out in detail. The quotation was competitive, with full documentation provided & attached to the quote. Troy commenced the contract on the date stated and the job was carried out with attention to detail. Very clean work and an excellent finish that both my wife and I were extremely pleased with. We went for a new SATIN type colour finish which had only been on the market just over 2 weeks and Troy supplied us with full detail of the new product before we made our decision. Great to work with, a really nice guy and a credit to his profession. We would have no hesitation in recommending Troy at Millenium Roofing. Filip C .... Troy did a great job at a good price. Would recommend him to anyone who wants to restore their roof. Karen C .... Millenium Roofing did our roof and they did a fantastic job. I would highly recommend them! Terry H .... Great job on our rental, it looks fantastic! Tonia T .... So pleased with the end result. Troy is professional and goes over and beyond. Thank you, so happy. Karen G ....Thanks so much for a great job, it looks fantastic and it's even better that we are now keeping dry as well! Ron C ..... Millenium roofing repaired and painted my roof and did an amazing job. I would highly recommended them. Katrina K ....Troy did an amazing job! Dearne B .... When you want a job done right, this is the bloke to call. Thanks Troy, what an awesome job. Robert F .... Troy was quick to respond with an inspection & quote upon request. Kept in touch during the whole process to ensure we were happy with the work carried out. The work was completed promptly and to a high standard. I have no hesitation in recommending Millenium Roofing for all your roofing needs. Highy recommend. Helen D .... Just to say thank you for a job well done by Troy and his team. The job was quoted & work began within a couple of days. Arrived on time, took 3 days to complete. Cleaned up after themselves. Would highly recommend. L Smith .... Troy & his off sider have just left & I am overjoyed with my roof. A fantastic job which has added to the value of my home. Mimi D .... I cannot even begin to express how happy my husband and I were with this company. Not only were they here when promised but had the work done in amazing time. Extremely honest, up front and well priced. Didn't even balk at our double storey home. One of the friendliest tradies you'll find. The finished product was just amazing as well! Would highly recommend. Thank you again to the Millenium Roofing team. Kris .... I would like to thank Troy for his excellent review of my home and the expertise with the job he did. Happy as can be. Many thanks for a brilliant job. Would recommend you to everyone. Karie J .... Really fabulous service. Troy provided detailed updates at each stage of the process and did a top quality job on my roof. Peggy W .... I cannot thank you enough for the wonderful job you have done restoring our roof. Your attention to detail, work ethic & customer service is exceptional. I am very happy to recommend Millenium Roofing. N Carroll ....Thank you for doing outstanding work on our roof. You were a standout from the other businesses we gained quotes from. You turned up at the time provided & completed the job within the designated time frame. Your business like manner & friendliness made us feel at ease & generated a high degree of trust. The roof looks brand new & we are grateful for the flawless finish. Yvonne & Cliff .... We would like to thank you for a job well done. We are exceptionally pleased with the way the roof has turned out. Your friendly nature & the professional skill in the way you went about the job was most pleasing. We would have no hesitation in recommending you. Annette & Keith .... Many thanks again for the great job restoring our roof. We would like to compliment you on your professional approach & prompt service & the fact that nothing was too much trouble to satisfy our requirements. This is very refreshing in this day & age. Thanks again.